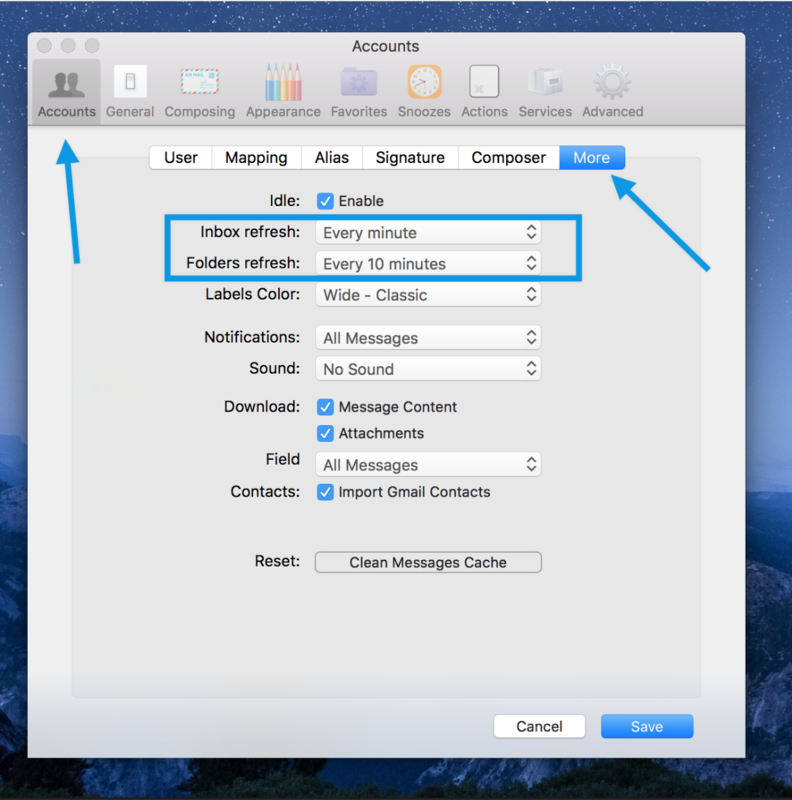 If you’re changing folder names or moving messages frequently in web-client you’ll notice that Airmail . sync interval. Go to Preferences > Accounts, highlight an account, then click on the “More” tab. “Inbox Refresh Time” and select the time you want. “Folders Refresh Time” and select the time you want. which could cause issues with syncing.